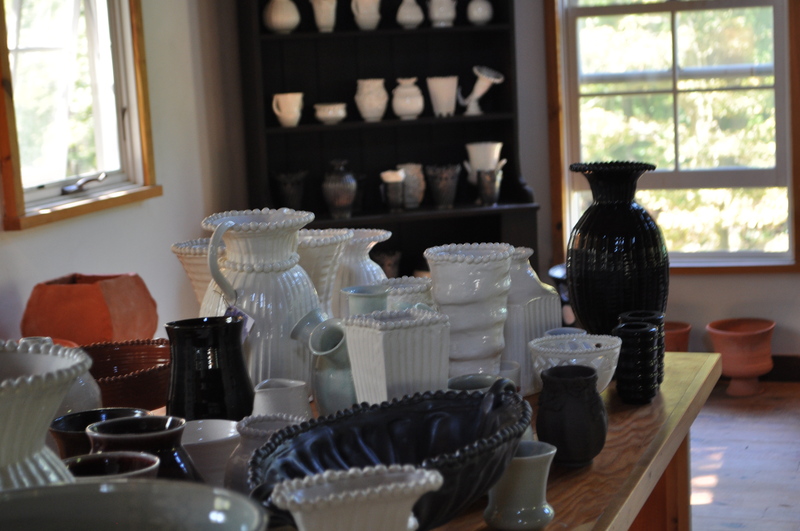 The Garden Conservancy’s Open Days 2012 season is winding down, but there is still much to see! I am so glad I took Sunday away from mounting chores and activities to view two remarkable gardens. Without a doubt, Frances Palmer’s made my garden soul quicken. I have been a fan of her pottery (Frances Palmer Pottery)and have imagined her pieces in my home. The Celadon collection is sublime. A friend from a garden group mentioned that I should see her dahlias. Enough said! I approached the dahlia garden with excitement! 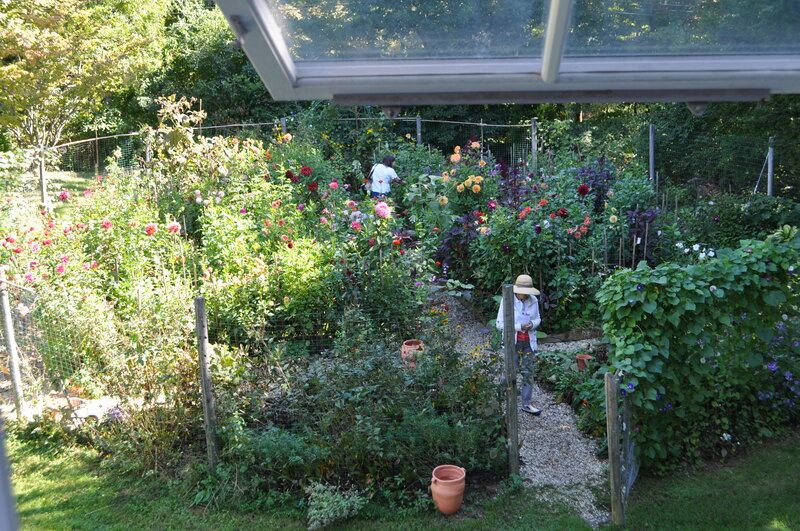 Once inside I was dizzy with the thrill of seeing new varieties and some, like ‘Jane Cowl’ that I have attempted to grow without success (sorry! I did not get a picture of it!). Adding a few other plants contributed to the overall lush appeal. The high shade from overhead trees protected part of the garden forperfect morning viewing. Heaven! 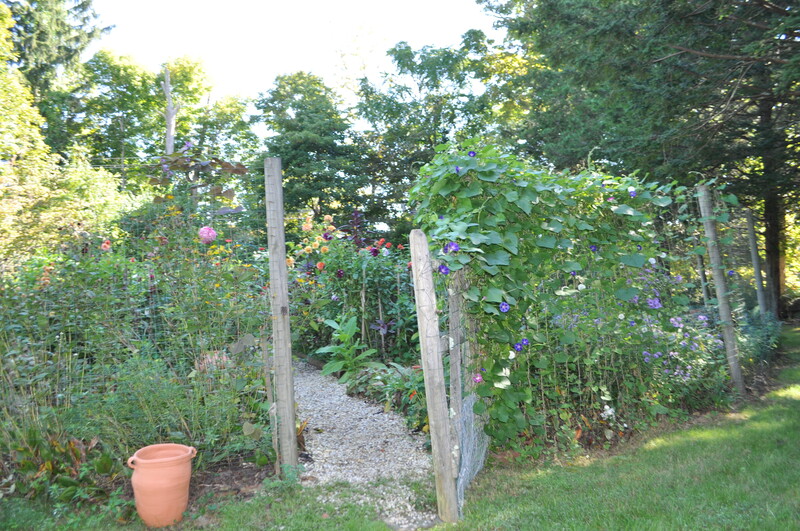 The tennis court on the property has been hijacked for other uses – vegetable gardening! A very whimsical way to employ raised beds, and just love the way the cracks have become an opportunity for self seeding! The barn adjacent to the dahlia garden houses the pottery and showroom. 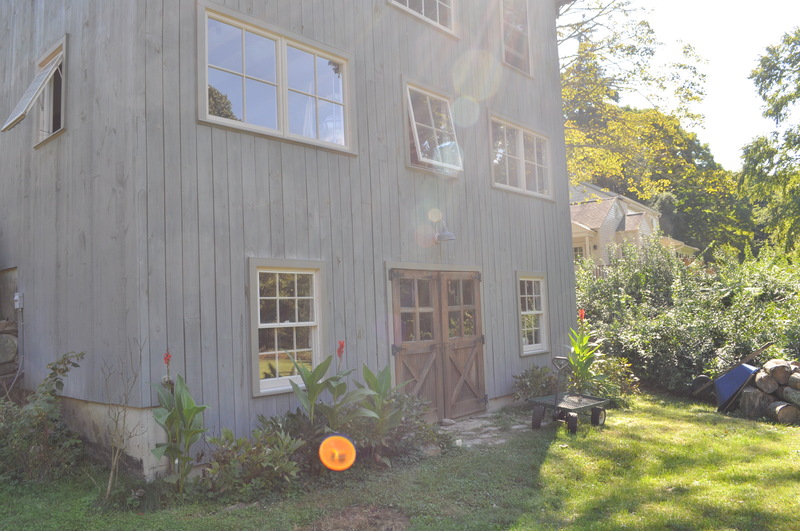 The creations that find their beginnings at the wheel inside this barn are surely informed by all the beauty that Frances nurtures in her garden. 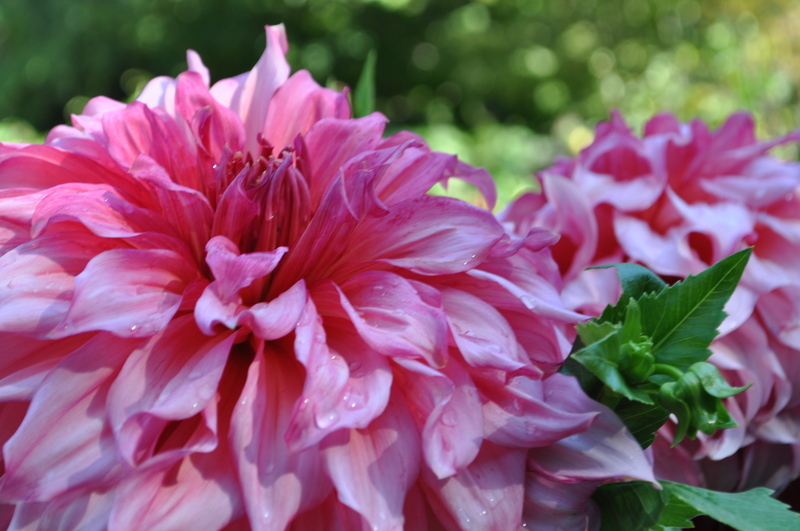 This entry was posted in Uncategorized and tagged dahlias, Frances Palmer Pottery, Garden Conservancy, Open Days Directory. Bookmark the permalink. I love the pottery, and those dahlias have really got me inspired to add to my own meagre collection. Beautiful dahlias! 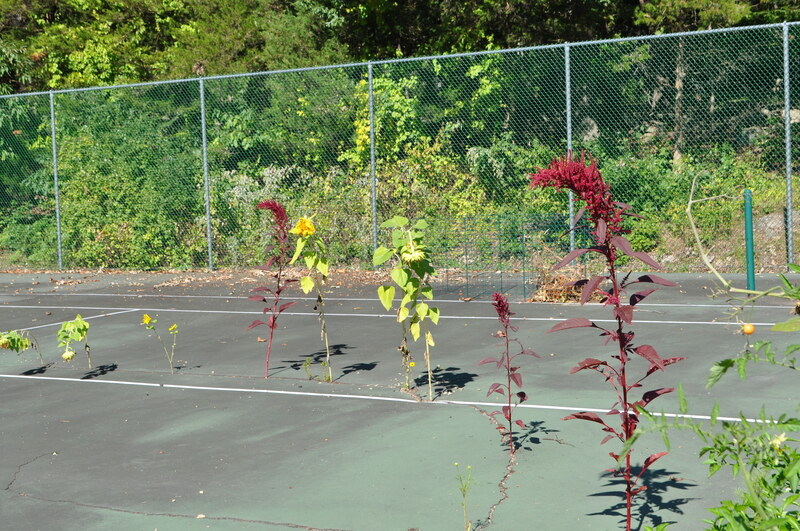 And I laughed when I saw the picture of the amaranth growing from the cracks in the tennis court. They grow like weeds everywhere in my garden, too. Those plants can survive anything! 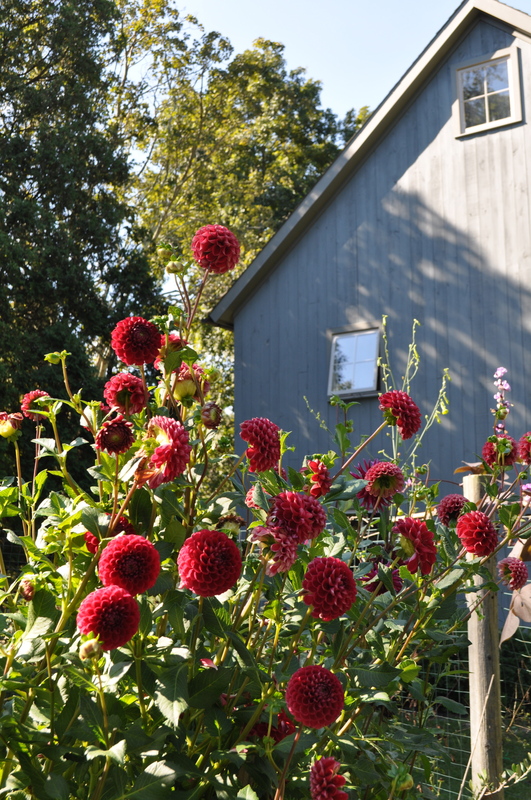 What a lovely place and a beautiful dahlia collection. I had no luck with mine this year – the garden seems empty without them. Oh well, there’s always next year. 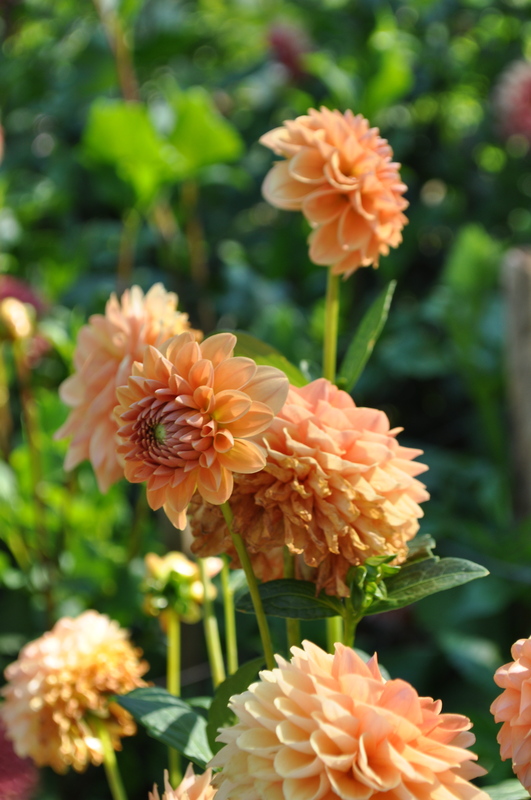 Dahlias love water, but maybe not as much as your Summer started out with! Thank-you for your kind comment. I am so happy to meet you and your beautiful blog. 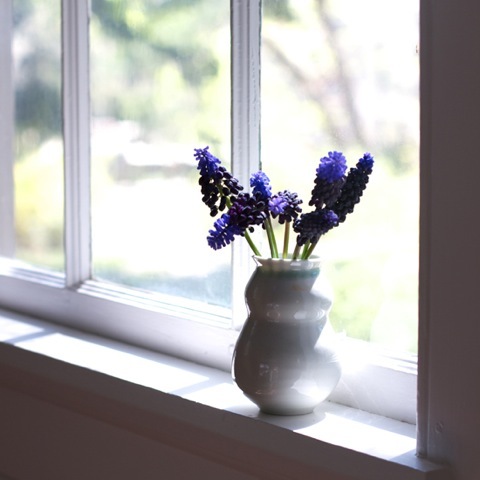 I want to plant dahlias and make bread…..I also want a Frances Palmer pottery dish or vase. See what you inspired! Greetings Jayne ~ you were very kind to read my blog and leave a terrific comment. I’m so pleased to meet you and look forward to following you along through gardens, family and the what we call life! I love to gardening too (although haven’t done much for a year now) and Frances’ dahlias was a pleasure. They always remind me of home, which is the Seattle area. To own some of Frances’ pottery too would be wonderful. Truly a talented lady. Thanks for the peek and have a lovely week! Thank you for sharing! So very beautiful! 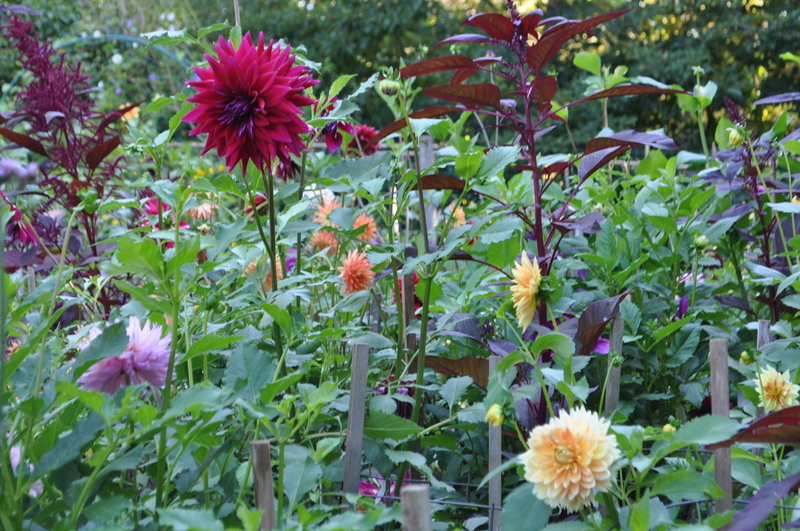 I will have to give dahlias a try once again! 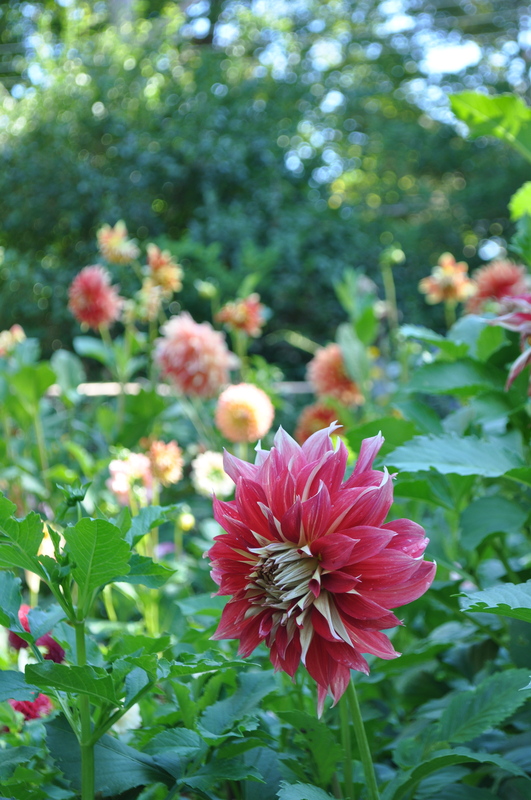 Gorgeous dahlias…wish we could grow these in Austin. Truly an inspiring “office” view! And thanks for the blog visit.